It can be daunting to try to think of a completely new, never-been-done-before concept for a shoot. But sometimes, the answer is surprisingly simple. In an age in which everyone is touting shooting on the latest equipment with 4K video, while begging for ever-greater bit rates, Japanese designer Dan Tomimatsu took pause to give us something refreshingly simple and beautiful. Using a water droplet "stuck" inside a five-yen coin as a lens on an iPhone, Tomimatsu shot "O (eau)" with the intention of reminding the world that beauty can be found outside of razor-sharp 4K imagery. Ahh, sunset... Yeah, sunsets bring me nostalgia... I wonder why. And sunrises don't, you know. Of course, sunsets connote (both in literature and in the human mind) the end of the day, the end of an era, the end of a life, or a part thereof. All that remains to think of when watching, or perhaps, when feeling a sunset is what preceded it: the past (hence, the nostalgia discussed and felt throughout the film and throughout a sunset). Sunrises, on the other hand, mark the beginning of something new: a new day, a new life, a new beginning. Sunrises hold nothing but hope and excitement for the future. 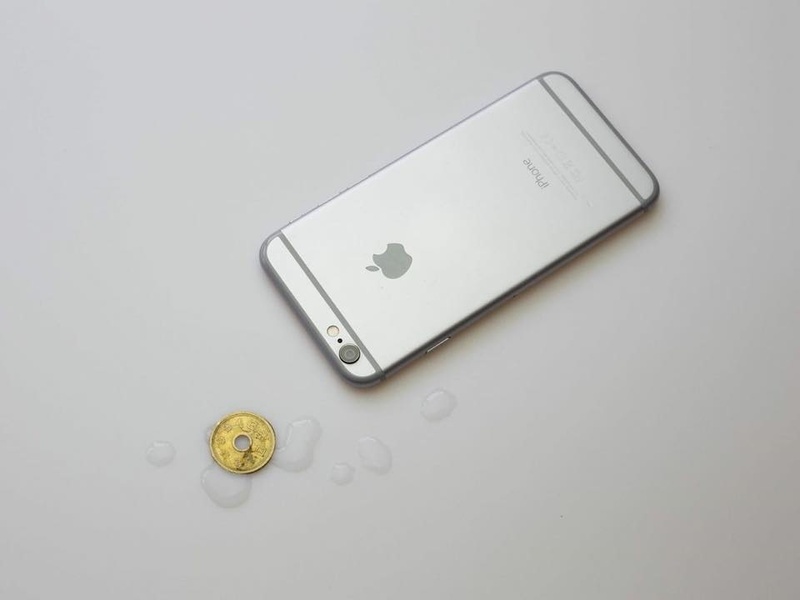 Dan Tomimatsu placed a droplet of water inside the hole of a five-yen coin, which he then placed over the front of an iPhone lens during recording of his short, "O (eau)." "O (eau)" ("eau," by the way, means "water" in French and is pronounced as "oh" in English) covers themes relating to the past, present, and future in current life, past lives, and nostalgia. The entire dialogue takes heavy cues from the imagist movement, a movement that at times seems as though its only interest is in the expression of nostalgia, as it reads like a selection of pages from Ezra Pound's private journal. Thankfully, "O (eau)" is not accompanied by perfectly echoed imagery of the short film. Instead, green vegetation and a single young woman occupy most of the screen time through what often seems like the curious and perhaps vulnerable eye of the viewport created by the water droplet lens. Needless to say, the short film is worth a watch. Think of it as a five-minute meditation break in the middle of your busy weekend. 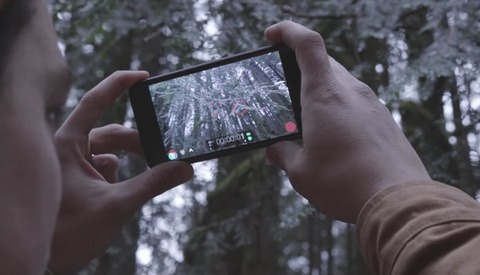 For those who are curious about how water was used as a lens, of course, the iPhone's lens was not removed; the film still used the iPhone rather conventionally as a camera. 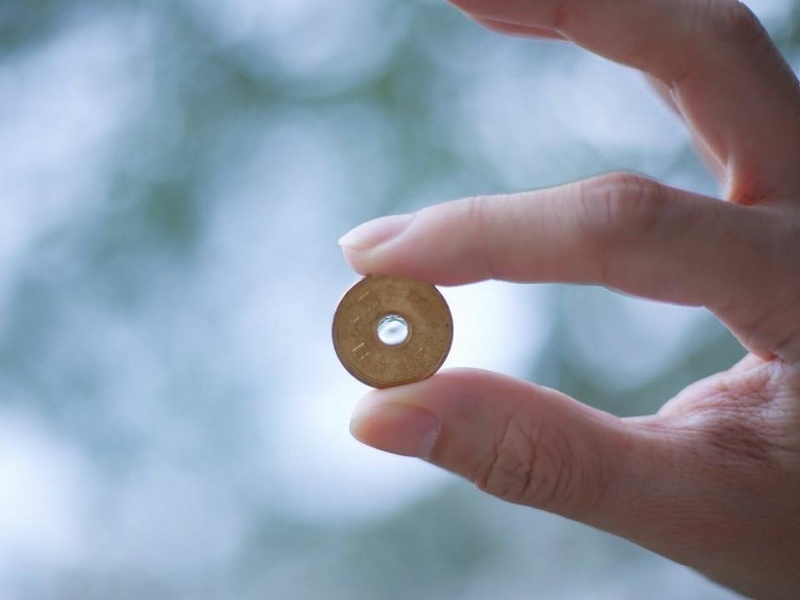 However, water placed within a small hole in the middle of a five-yen coin stays in place due to the water's surface tension (the same way it might hang on the bottom edge of a cup before falling to the floor after spilling over the lip). Naturally, the placement of the water is fragile in its housing and a bit of wind or too strong of a shake could jostle it loose, but another drop could be added in its place for the next scene as needed. View more of Tomimatsu's work here. ok, this is getting to be too much. iPhone this, iPhone that. we get that it's got a camera in it but has this site turned into a apple site ? all you do now is stuff with the iPhone. have you run out of stuff to talk about ? i could send you a list if you would like. Yes, I know there's a lot of iPhone content lately... That just comes with any iPhone release. But honestly, the point isn't so much related to the iPhone as it is to the concept of a "cell phone" in general. Replace iPhone, here, with "camera phone," and the point remains the same. There's also YOUR post from a year ago ranting about your HTC and iphones. If you feel there's a lack in HTC articles, maybe you should write one, just like you said you would a year ago. And that has been my point ever since. 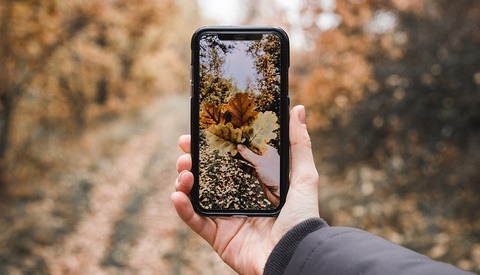 The HTC has just been used as an example, had I bought a new phone I'd probably have used some other brand name and in all fairness I don't really care about phone photography based articles since I don't take pictures with a phone, but why does it matter what tool is used for taking the picture? The phone articles contain photography of course, but are usually built around the brand name rather than the activity and as also previously stated the brand based treatment is an iphone patented method which is what grinds my gears. I get that making it feel that you need an iphone for common tasks is a part of Apple's marketing strategy, but using any brand as the centre of the result is misleadingly creating an image as if that particular tool is required for it. Based on that nifty search function I got the following results: HTC - 26 matches, Android 367 matches, phone 1520 and iphone 7330 matches. Cameras seem to get a fairly equal treatment - Nikon 9010 matches, Canon 9140, Sony 7020, sorry Pentax - you've been namechecked just 416 times. The word "photography" gave 13200 matches. So I think the above shows the skewing quite well. I'd even understand the OS based split better as there Windows based articles really wouldn't mostly apply to OSX users and vice versa, but on phones other than marketing I don't really see a good reason. Again, the articles here don't really discuss things that are necessarily iPhone-specific all the time..just because "iPhone" comes up doesn't mean that it couldn't apply to any camera phone -- it's just a matter of accuracy (if we know it was shot with a certain kind of phone, we'll say so, of course). I hope that makes it clear. Hang in there, I'll call the whaaambulance! I don't feel frustrated by the type of the phone / camera that gets used in the articles. I am more interested in the contents of the article and the results creative individuals can achieve with sometimes a challenging camera. I agree there is a lot of iPhone content at the moment but simply not reading the articles with "iPhone" in the title should help filter these for you if you find they are causing you stress. As for the contents of this video I very much agree with Musa below. Wow. Very original and inventive. Even the entire film looked like nostalgia, if that makes any sense. When I think of nostalgia, I think of a far away memory that I can't completely picture, and this film represents that in it only shows a few things, many broken cuts, a blurred but beautiful image, and a very narrow perspective. Amazing. Phone taxonomy aside, what intriguing ingenuity to match a droplet with a yen. That innovative thinking, alone, compels... yet then there's the hauntingly beautiful dreamscape of the visuals. Anti-iPhoners, remember the whole point of this is saying technology isn't everything, what's important is what you create. 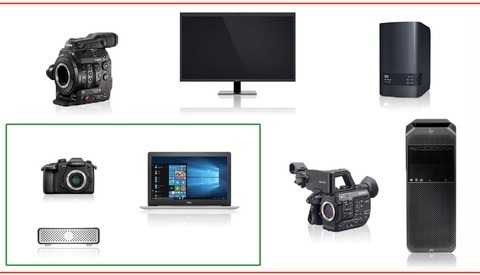 "4k isn't everything"...."if you're shooting a fine art video". lol just joking, this was a cool video and nice post.